It’s no coincidence that the river running through Oyama City in Tochigi Prefecture shares its name with the region’s most famous product: silk. However, Takeji Okuzawa, director of the Tsumugi Fabric Museum, tells me the name of the river, the Kinugawa, has two meanings. “Sometime in the past, the first kanji character changed from ‘silk’ to ‘angry demon,’” he says. The river’s habit of flooding every few years leaves a deposit of fresh, fertile silt — making it perfect for agriculture and raising silkworms. 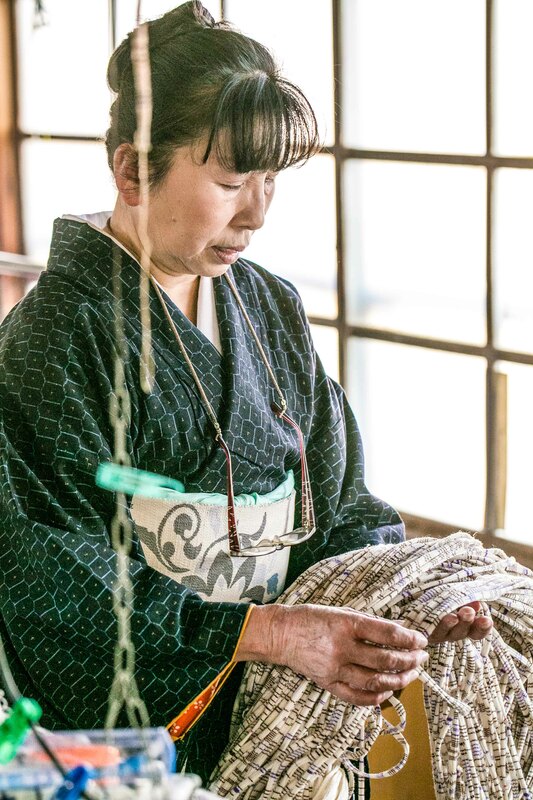 The area’s renowned treasure — yuki tsumugi (hand-woven silk made from a single untwisted thread) — was first made by local farmers for their work clothes from damaged cocoons they boiled, washed and dried into flossy silk. 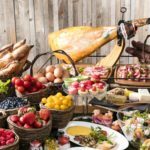 “It was light, warm and durable,” says Kazuhiko Soutome, director of the Tochigi Prefectural Industrial Technology Center. 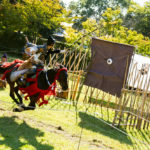 When the material caught the attention of the local shogun, he took it to Edo (old Tokyo’s former name) for official branding. Marketed there in the best kimono shops (many of which are now famous department stores such as Isetan and Mitsukoshi), yuki tsumugi became coveted in the city for its unique texture. 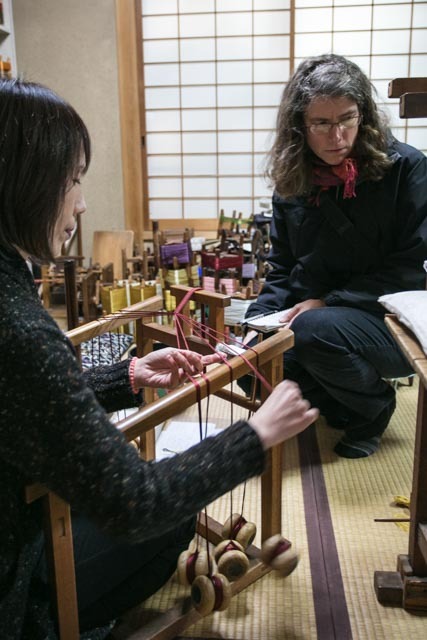 “It’s not shiny like regular silk,” explains Hiroshi Nomura, director of the Gallery of Traditional Arts & Crafts in Yuki City, where it is possible to spend a day learning to weave (I tried my hand at a coaster). 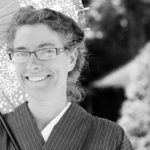 “The thread is never twisted and we only use a single strand whereas kimono made from regular silk uses five. 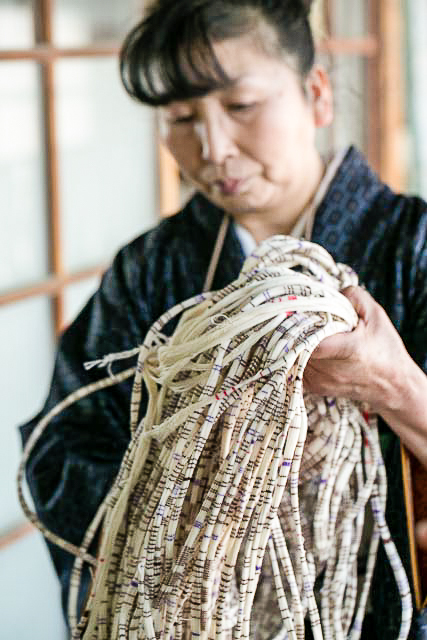 Real yuki tsumugi is always handmade and always on a jibata (back-tension loom).” This loom uses a waist belt to keep tension on the machine and allows the weaver’s body to become part of the mechanism. “At a recent trade show in New York, everyone wanted to see these looms,” says Okuzawa, pointing to a rarely seen jibata in his workshop. 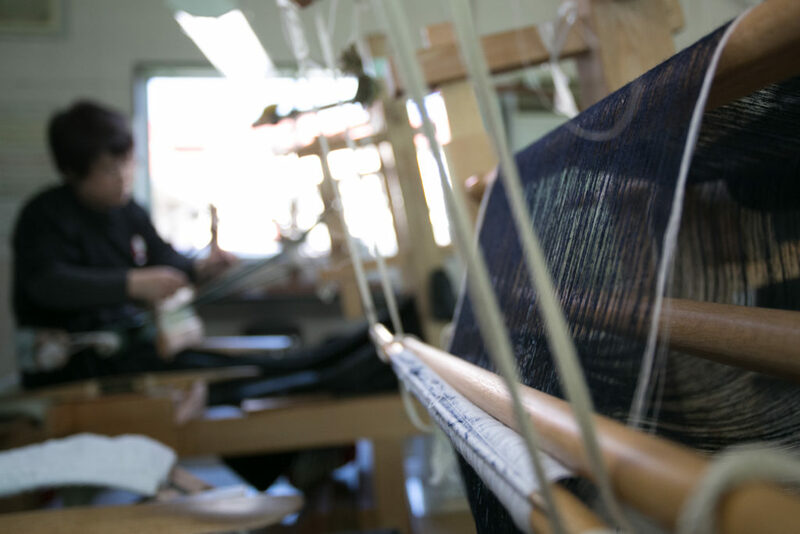 Here, visitors can try their hand at everything from spinning and dyeing in the morning to weaving after a nice break for lunch at Ichinokura, a café in a restored Meiji era shop nearby. This thousand-year-old craft is still very much a family tradition. The thread is starched and then marked with a pattern. 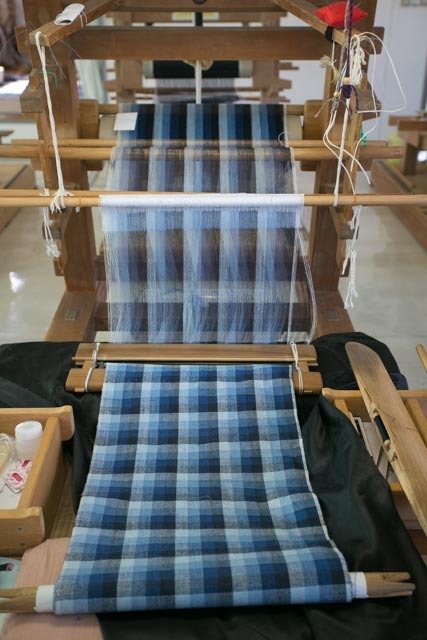 Designs on a dark color use knots of cotton string that shrink tightly to the silk during the dyeing process. 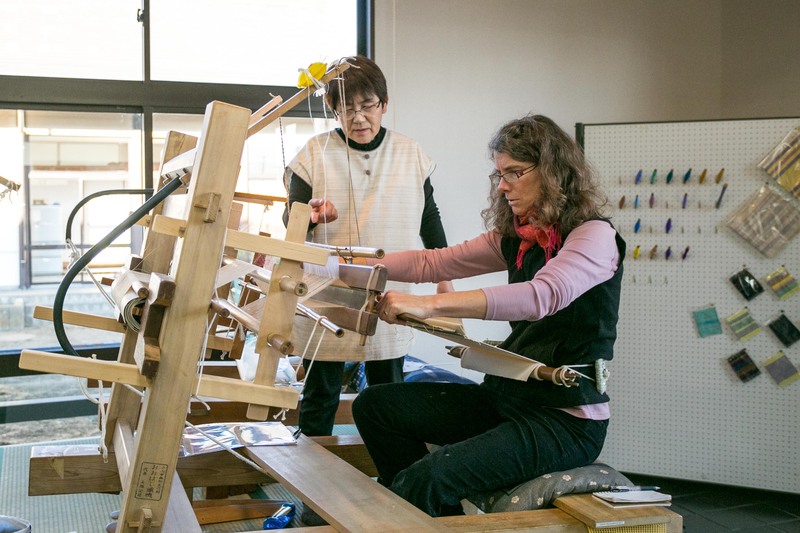 “There can be nearly 3,000,000 knots per bolt,” said Naoyuki Akaishi, a staff member at Omoigawa, a weaving house famous for a pale pink yuki tsumugi made using the bark of a local cherry tree. 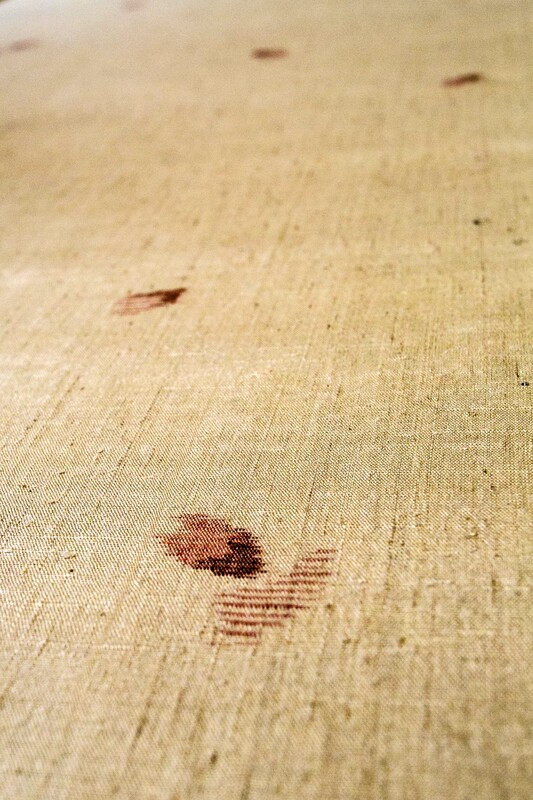 Light colored thread is marked with charcoal in preparation for stenciling. 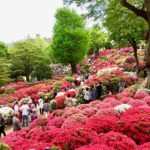 A complicated pattern requires more than a year to complete and costs upwards of ¥4,000,000 (approx. US$35,400). That, of course, does not include accessories such as obijime, the silk rope that wraps about the obi and holds it in place. 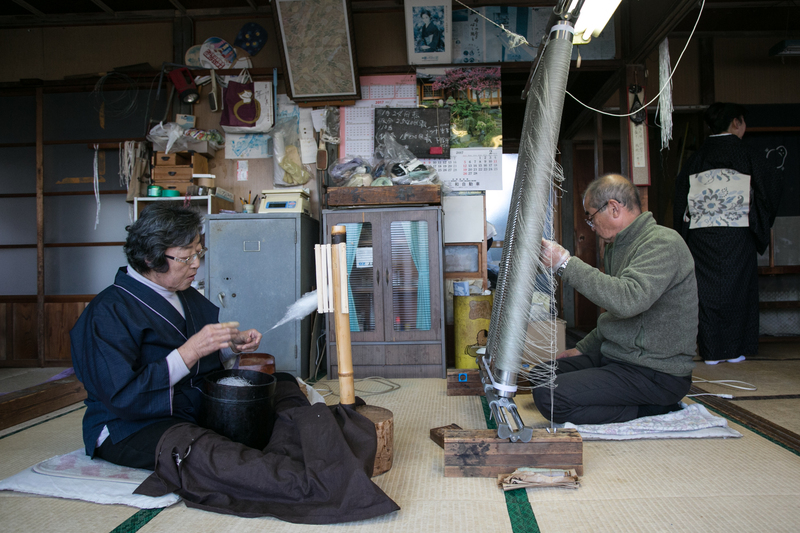 “It would all fall apart if it wasn’t for this,” explained Yasuhisa Watanabe, the most recent generation of his family leading Mamada Himo, another local shop. The resulting yuki tsumugi is indeed lightweight — but also rough to the touch. 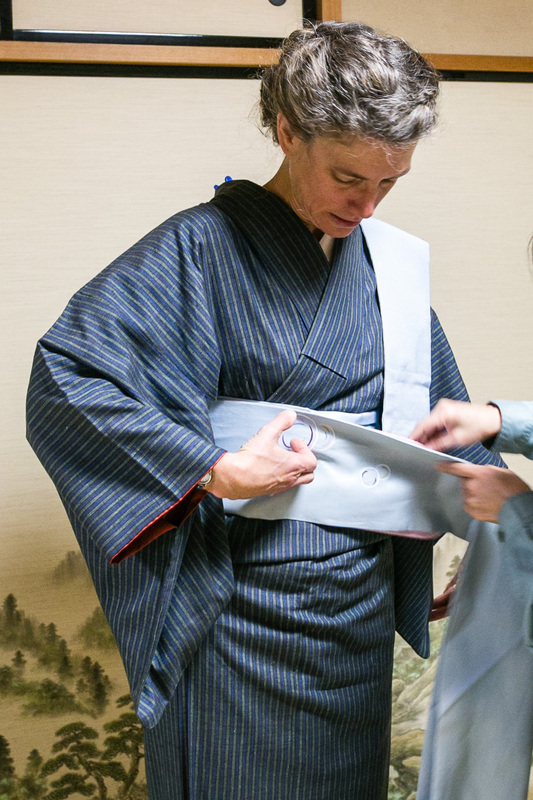 Staff at the Oyama Honba Yuki Tsumugi Craft Museum near Oyama Station help me rent and put on a kimono suited to my coloring and height. I can’t help but notice — as they release me into the city for a leisurely stroll in my finery — how it seems to capture and hold the light. 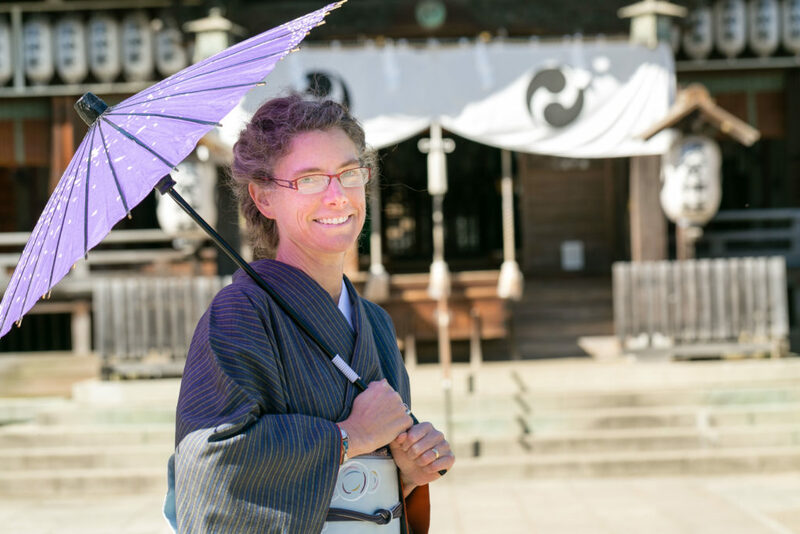 The fit is snug and surprisingly insulated even on a blustery visit to Suga Shrine followed by a steaming bowl of udon at Syourin. The noodles made at this soba shop — like the kimono — are all handmade, utterly satisfying and highly recommended.